I was drawn to the water in this image and the simplicity of the shapes, their almost surreal appearance. This entry was posted on December 20, 2017 at 9:40 am and is filed under Landscape, Nature, Pastel Painting, Water with tags Hills, Landscape, Nature, Pastel Painting, Trees, Water. You can follow any responses to this entry through the RSS 2.0 feed. You can leave a response, or trackback from your own site. 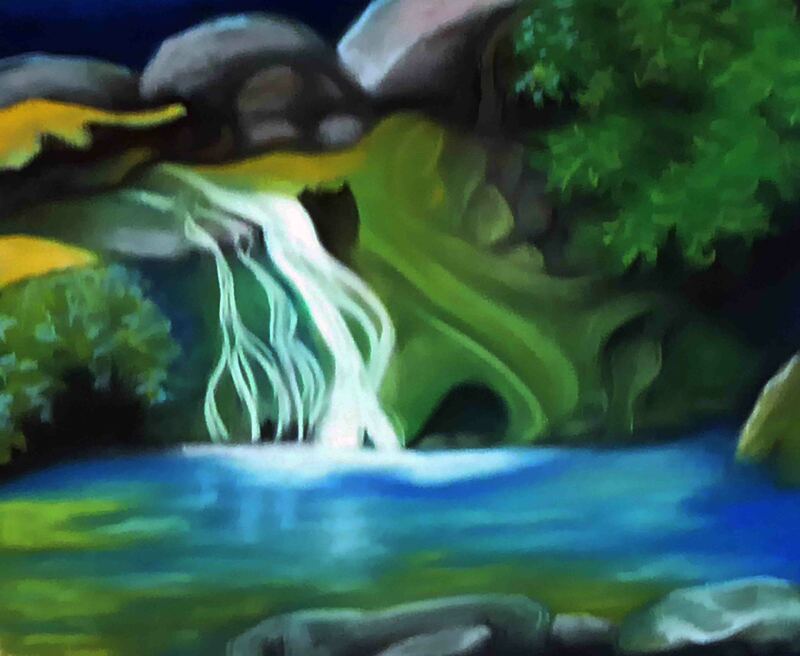 I am so happy to see this pastel painting as your pastel works are what drew me to your blog. They have a dreamy quality to them. I understand that as an artist it is important to try new things, my mantra, and have enjoyed your adventure into the esoteric world. However, I love your pastel landscapes best. All the best. Arlene thank you so much. You are the second person in as many weeks to tell me that about my pastel landscapes. I appreciate the feedback and support! Working as an artist alone as much as I do the input I receive from other artists and supporters through WordPress is very meaningful in helping me to continue exploring, working and sharing my art, and I’m very grateful for this platform and for the people involved in it. Best to you in the new year!